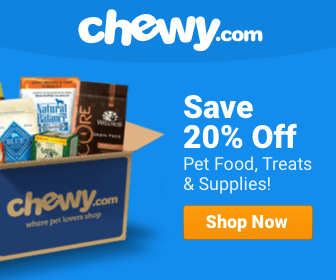 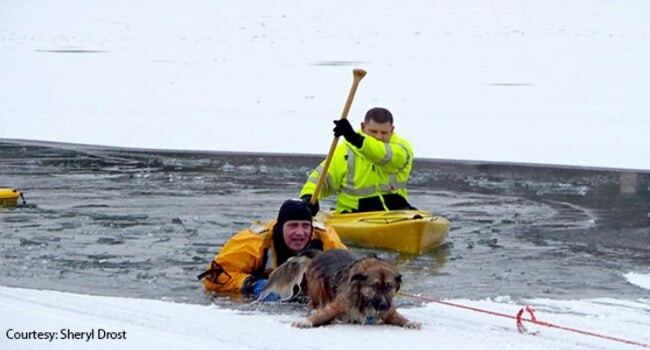 Dog News Featured First Responders Good Samaritan Happy Ending Heroic Humans Icy Water Inspirational Dog Videos International Rescue Rescue Video Social Media Stuck Video Wow! 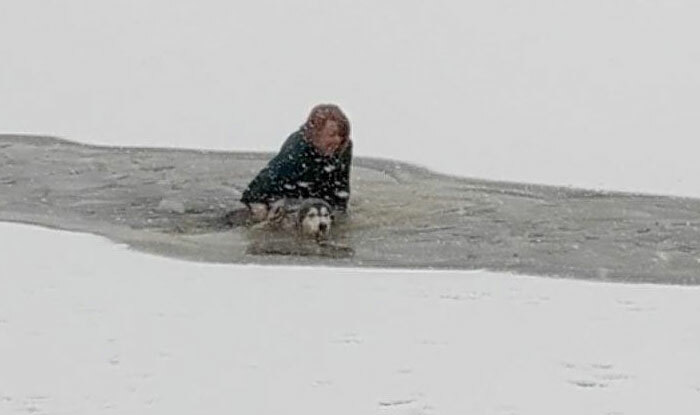 When a dog fell through the ice at this Vancouver park, this selfless onlooker didn’t hesitate before marching in to save it. 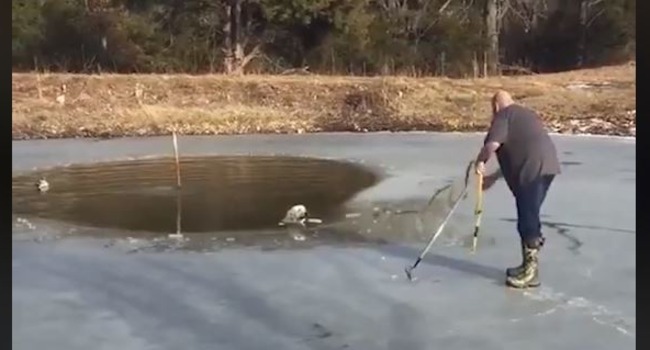 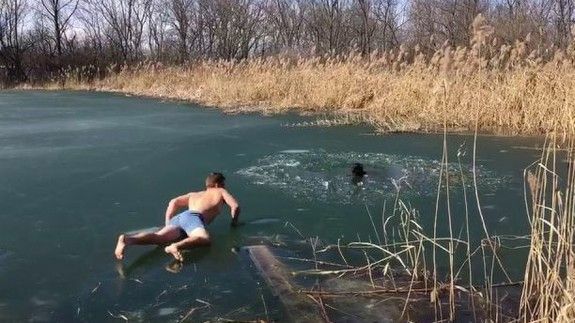 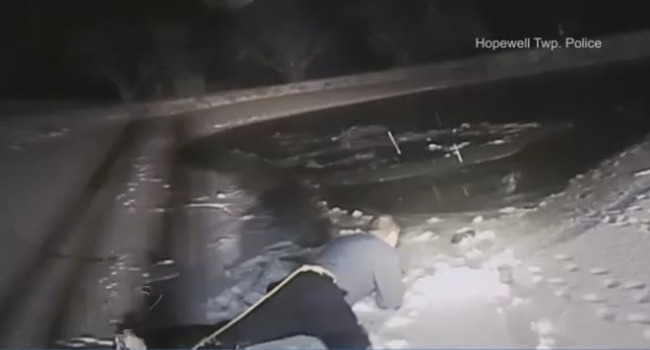 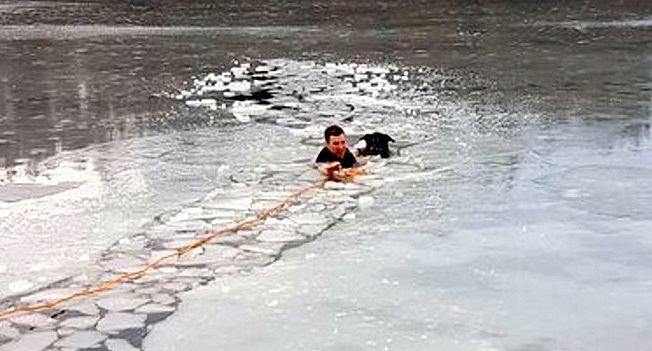 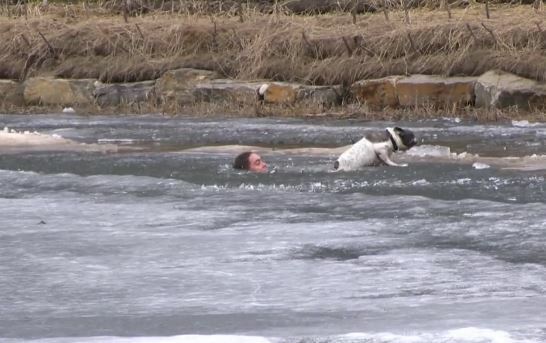 A Canadian man was caught on camera plunging into a frozen pond to rescue his dog after the pet fell through the ice. 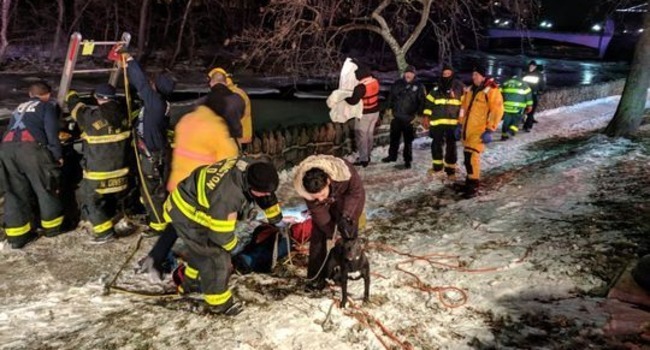 Passerby Emily Andrea Robertson had taken off her boots and was going to try to rescue Maggie herself, but decided firefighters had a better chance. 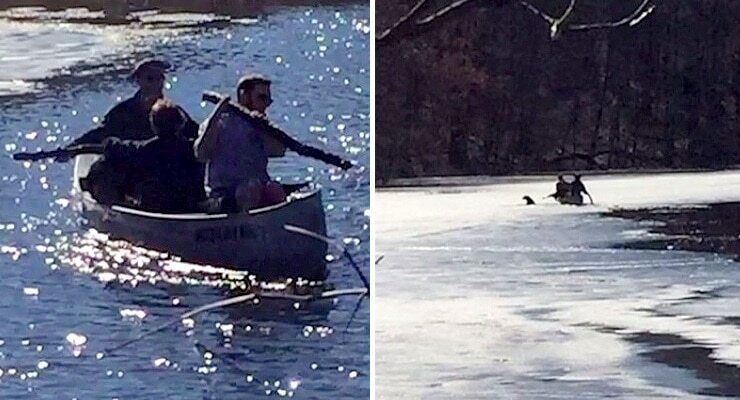 Though the teens didn’t even have oars, they grabbed a canoe and rushed out onto the icy pond to save the drowning dog. 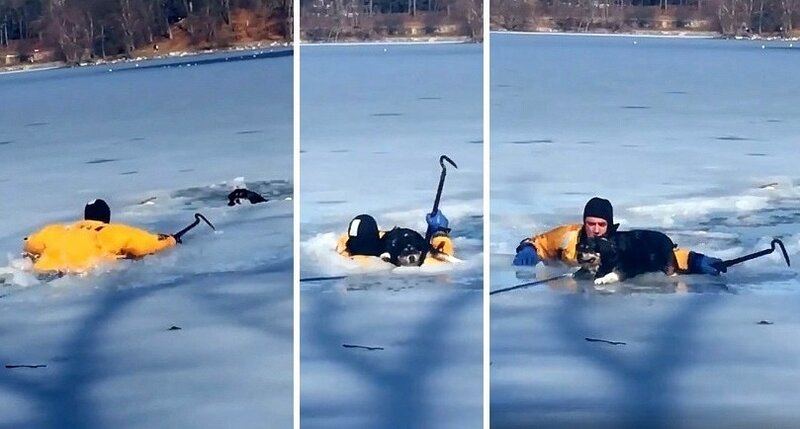 Hopefully they earned a badge for this!